Africana is a game set in 19th century Africa where European nations set out to explore the secrets of this continent. Each player will represent a European nation. Players will use travel cards to move about the board. In the process they will join and complete expeditions. Players can buy adventure cards that will require them to travel to a particular city to claim the artifact on that card. The money to buy cards is awarded for joining expeditions, completing expeditions and claiming artifacts on adventure cards. 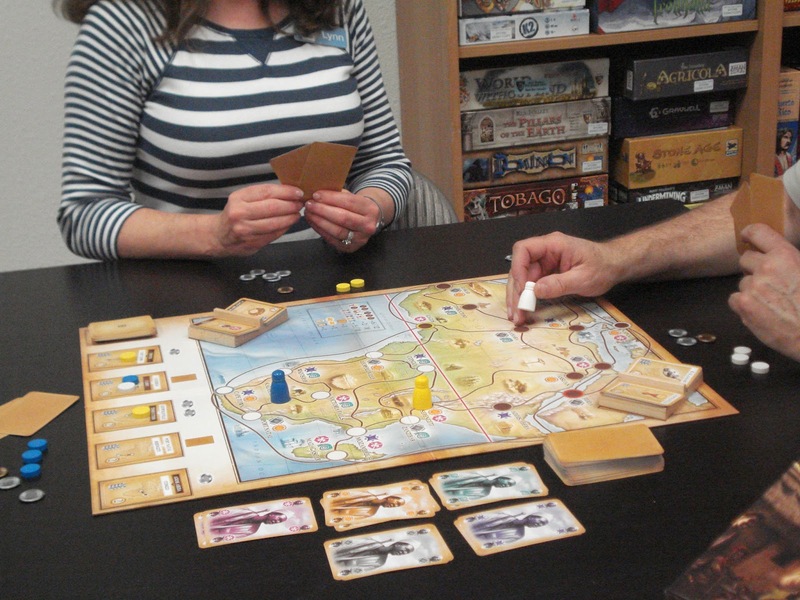 Africana is a 60 minute game with simple mechanics but requiring plenty of tactical decision-making. Players must manage their travel cards and their money supply to be able to purchase adventure cards that match well with the ever-changing expedition cards as they become available. Completed expeditions are replaced by new expeditions until the expedition card deck is exhausted. Final scores include points for completed expeditions, claimed adventure cards, plus points for collecting sets of artifacts. Excess coins can also be resold for points at the end of the game. The player with the most points wins. 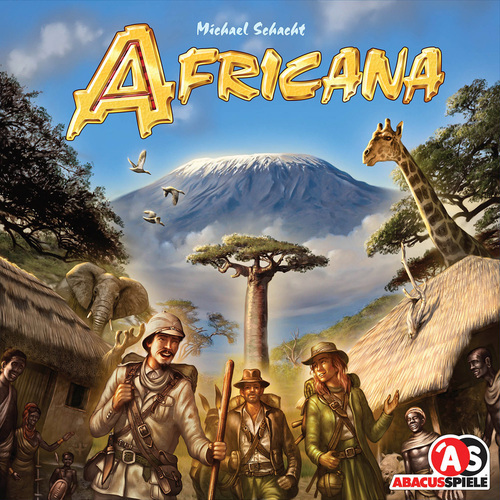 We have an open copy of Africana available in our Store Demo Library for you come in and try out.